FAMILY RUN, AWARD WINNING SALON RIGHT ON YOUR DOORSTEP! Fall Back In L​ove With Your Hair! ​hands for my hair, it is perfect." 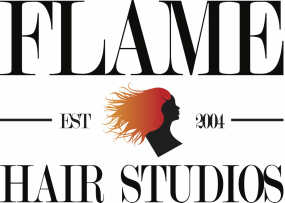 Flame Hair Studios is a Multi Award Winning, Family run, Salon established for over 10 years in the beautiful market town of Towcester. With generations of hairdressers working side by side, you will instantly relax and feel part of the family. Flame Hair Studios is Towcester's most sought after salon. Our team are masters of their craft, and will leave you looking and feeling amazing. We strive for excellence in every aspect of our services. Which means from the moment you book your appointment, to your one to one advice, until the moment you leave with your gorgeous new hair you will receive the highest quality service around. The Flame girls aren't just sought after in Towcester, but outside the salon too. Winning endless awards, working on international photo shoots, music videos and London Fashion Week, alike. We bring our creativity, flare and passion to everything we do. AND WE'RE RIGHT ON YOUR DOORSTEP!